We fix your pool right and we fix it fast. Heaters are the most expensive piece of pool or spa equipment. Don't buy a new heater! Have us repair your existing one. We handle clogged impellers, leaking pump seals, loud bearings, or total pump replacement. Any pump problems, we'll fix it! 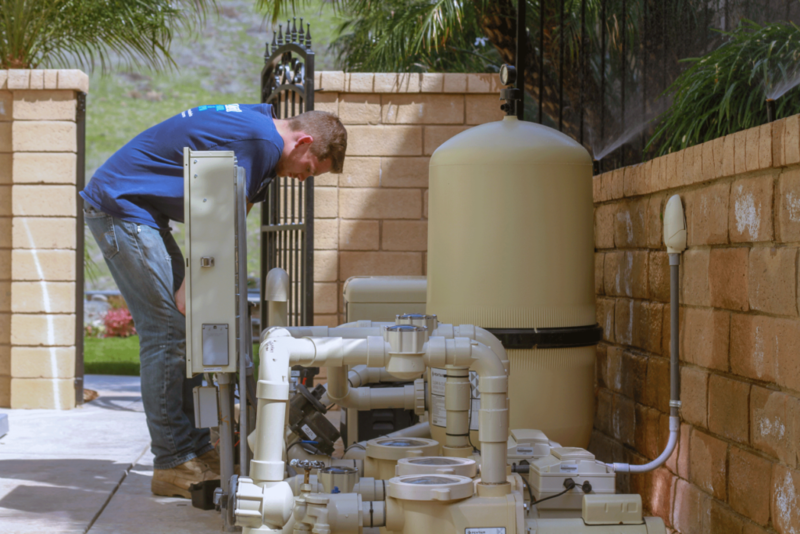 A salt system is like a water softener for your pool and spa. You will never want to swim in a “chemical” pool again! Our pool repair department works with all brands of Filters: DE, Cartridge, & Sand. We do filter cleans, filter grid replacements, and total filter unit replacements. We can repair and/or replace any component of your pool & spa. Everything from pumps, motors, heaters and filters to pool cleaners and automation systems, lights, leak detections, tile cleaning & repair. If you have any pool repair need, we can handle it quickly!